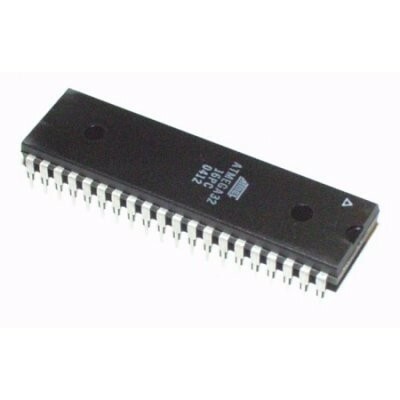 Atmel's ATMega32 8-Bit Processor. 32K of program space, 32 I/O lines, 8 of which are 10bit Analog to Digital converter capable. Runs up to 16MHz with external crystal. Package can be programmed in circuit and be debugged with AVR-JTAG.